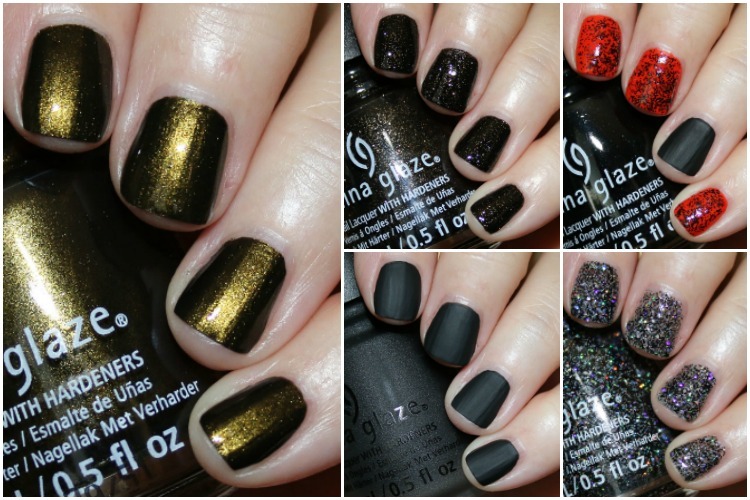 It may be Monday, but I have the China Glaze Paint It Black Halloween 2018 Collection for you, so hopefully that will brighten the start of your week! 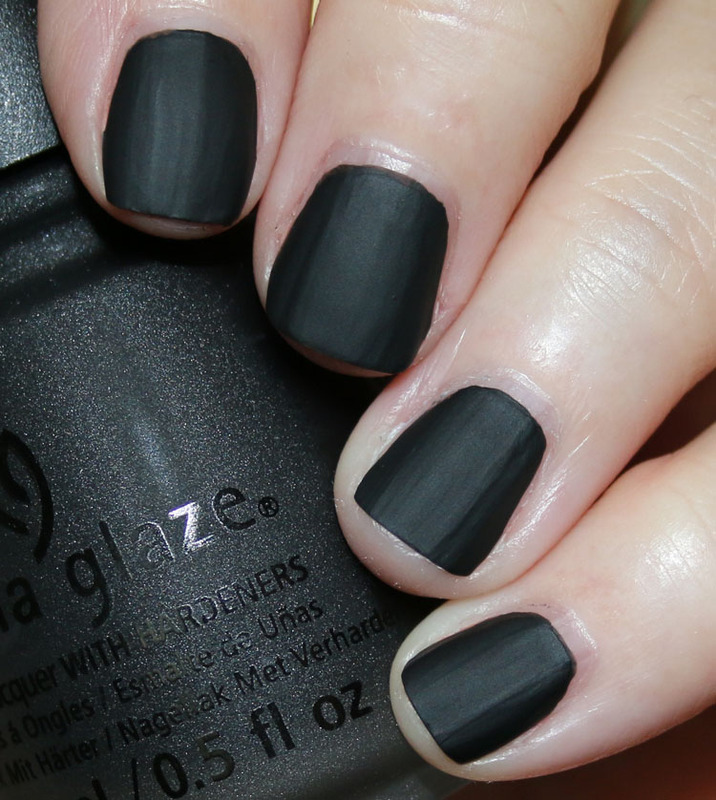 The China Glaze Paint It Black Halloween 2018 Collection features six new black and blackened shades. I am missing one of them called Maliboo-Boo, which is a black holo shimmer, so sorry about that! The formula of these was so damn good. Three could basically be just one coat if you wanted, but I did two coats for most of these swatches. I used a top coat with all of them except for the matte one because some dried a little lackluster looking. Wicked Liquid is a deep blackened “old-gold” shimmer. It has an olive green look to it. This is two coats. Ash & Burn is a black with orange and gold shimmer. This is two coats. Pret-A-Potion is a black glitter in a clear base. Here is one coat over an orange. Shadies & Gentlemen is a true black matte. This is two coats. Night And Slay is jam-packed with black and holographic glitter. It’s full coverage in two coats. LOVE. I will admit, there isn’t anything all that unique with Pret-A-Potion or Shadies & Gentlemen, but still they are nice. I really like Night And Slay because it is super holo looking and full-coverage. But the real two stunners in my book are Wicked Liquid and Ash & Burn, both which can be just one coat. They are also the most unique ones here. 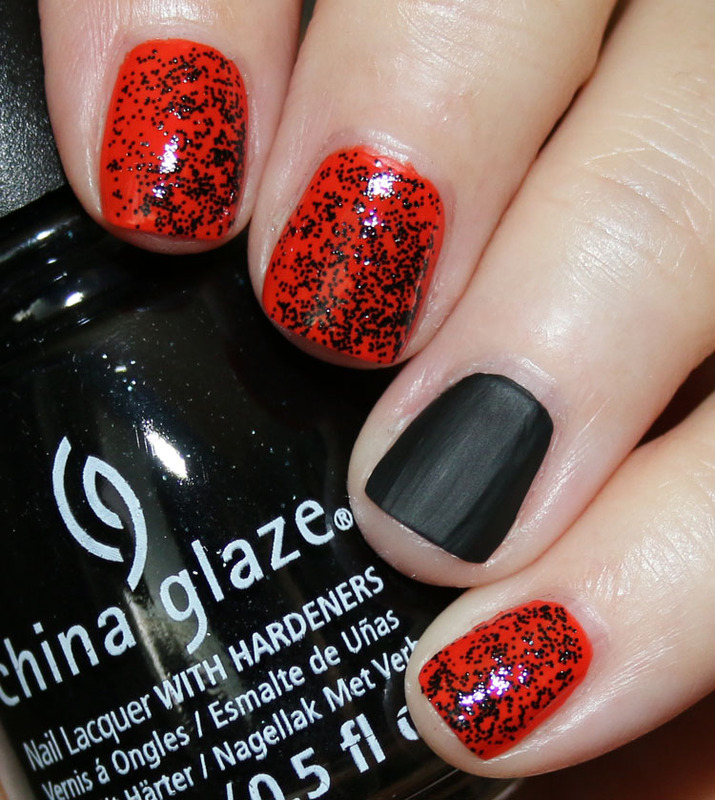 You can find the China Glaze Paint It Black Halloween 2018 Collection at Ulta and Sally Beauty now. Are there any here that made your jaw drop? Oooooh, Wicked Liquid! The olive tinge makes this absolute perfection in my book and it shall be mine! Ash and Burn has my attention! I love the black with the gorgeous sparkle to it! Isn’t Maliboo-boo, or something like that, part of this collection? Black holographic. I bought that and Night and Slay last week at Sally’s, but haven’t had time to use them yet. Yep. I mentioned I don’t have that one. Sorry, I should’ve read instead of skimming and going right to the pics. Wicked Liquid is gorgeous! Love that lit from within olive. As always thanks for your swatches, Kelly. I liked this collection, specially because it is different of the latest China Glaze Halloween collections..
Wicked Liquid looks so much like the discontinued Wallis from Butter London. Gorgeous!